I love the Scale Game. If you're unfamiliar with The Scale Game, it is a list of sixty articulation/rhythm/tempo variations to accompany Taffanel and Gaubert's Exercises Journaliers, No. 4 by Michel Debost. It can be found in his book, The Simple Flute. The idea is to play all keys in T&G Number 4 each day, (including six 8va scales), rotating to ultimately play all keys in all styles at the end of a full 30 or 60-day rotation. There are a couple ways to do it. Play A minor in the style of No. 3... and so on. After completing C Major through E Minor on Styles 1-30, and then again on 31-60, you'll re-start on the next day with C Major 8va (the second key on the left) in the style of No. 1, going down the list again. Rather than playing the articulations in the same order and rotating through the keys as above, you can keep the keys in the same order and rotate the articulations. Follow the same steps as the above to begin. Once you finish all sixty styles (playing all 30 keys 2x each), begin again on C Major the following day, beginning on Style. No. 2. A minor on Style 4... and so on. One of my biggest issues with attempting to rotate through the full Scale Game over 60 days is keeping track of where I am. I have yet to successfully complete a full rotation, because at some point, despite writing down notes, I get lost and start over. 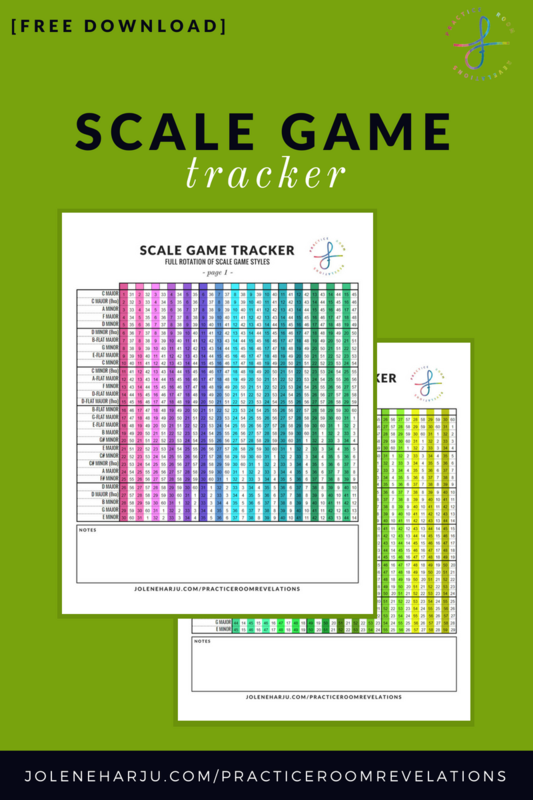 To remedy this, I've created a Scale Game Tracker to list out the full 60-Day rotation (following the Rotating Styles method), so I can simply check off each day without having to question where I'll need to start. Plus, it's motivating to keep track in one place, seeing a clear visual of my progress! This season, I'm giving myself the gift of self-care and intentional improvements each day in December. What's a more festive way to do that than with a Flute Advent Calendar?! Each day is filled with one exercise from Taffanel and Gaubert or an exercise in self-care or inspiration. If you're going away at some point during the holidays and not bringing an instrument with you, fill in those days with mental practice! Listening to or watching inspiring performances is important, it can fuel your excitement to return to your instrument, rather than fueling the guilt and dread. It's easy and only takes a few minutes! Check out this related article from the Bulletproof Musician: Have to Miss a Day or Two (or Week) of Practice? Here's a Way to Keep Your Skills from Slipping. Put perfection aside: the goal is to set an intention, practice the task around the intention, and improve one small thing in a specific way each day. August means the end of summer and the last chance to accomplish summer goals before the fall. For a lot of us, it also means fall auditions! This month's actions are geared towards preparing you to perform your best under pressure whether you have an upcoming audition or not! The actions provided are meant to serve as inspiration to think outside the box while practicing. There's no need to do every action in the order specified. If you're one to print out calendars like this one, then stop using them after one day if you haven't done everything as listed perfectly, here's permission to use it however you'd like! Half the days are intentionally left blank, and you're encouraged to fill them in with actions that are very specific to your own personal goals and sources of inspiration. The first action involves reviewing your goals, and writing them specifically in the space at the top. Items with an asterisk (*) have corresponding links and explanations that are available below the calendar at the end of this post! Follow the link at the bottom of the calendar to come back to this post at any time! Am I on track with my overall, long-term goals? Are my behaviors reflective of what I wish to accomplish in the short and long-term? Have I been putting off improving any specific areas of my playing? What have I observed in myself that I wish to change? Click the image or click the button below to download your free PDF! August 9th: Find an endless supply of tracks by searching on YouTube! August 23rd: Purchase or Stream The Tuning C.D. I am so excited to see your own revelations and the ways you're staying inspired throughout the month! Use #practiceroomrevelations and tag @joleneflute to share your printables in action! I'm relatively organized when it comes to keeping my sheet music collection in order. I have everything separated by type into labeled magazine boxes and keep them in alphabetical order. That's not to say that half my bookshelf doesn't end up in scattered piles each and every week. But at least everything has a place! Some of my most-used, most-cherished items, however, live in their own, disorganized pile. Handouts and exercises given to me by teachers during lessons, workshops, or master classes. Exercises that have been generously shared online by their authors, such as those by the Self-Inspired Flutist. My own hand-written notes on exercises that have been passed along through word-of-mouth by various teachers. They are so special and so loved because of the memories and associations attached to them. For this reason, I decided to compile them all into one, protected packet. I can easily have them with me in my bag or on my stand with no worries of losing one of the sheets or wrinkling the pages. What's in my Holy Grail Packet? My favorite warm-up by Dr. Terri Sanchez. An incredible, completely hand-written packet from Judy Mendenhall from ARIA 2010, containing tone and technique exercises and breathing scales. Handouts from Peggy Vagts, my undergraduate professor, with her beautiful hand-written notes on Taffanel & Gaubert exercises, double-tonguing, and more. Two more favorite handouts from the Self-Inspired Flutist: Virtuoso Vocals and Haunting Harmonics. Hand-written notes on Moyse's Etudes et Exercices Techniques and the Bach Studies from inspiring lessons with my grad school professor, Eva Amsler. Handouts and exercises from Body Mapping lessons with Vanessa Breault Mulvey. Samuel Baron's Low Register Exercises and Arpeggio Vocalise from Amy Porter at ARIA. Do you have a collection of treasured handouts? Are there exercises that live in your head that you'd like to have on paper? Compile your handouts, write or type out notes, and transcribe exercises that aren't yet on paper. You may wish to scan and re-print handouts onto a new sheet of paper. Write or type them out in order on the Contents sheet. You can even number the pages or add tabs to make it easier to find what you're looking for. Use a standard binder with a three-hole punch or page protectors, or have your packet spiral bound with a protective cover and backing. Share on Instagram using #PracticeRoomRevelations and tag @joleneflute! While this is not a practice calendar, there are several actions that are to be implemented directly into your practice session, such as the Practice Intention ideas. Half the days are intentionally left blank, and you're encouraged to fill them in with actions that are very specific to your own personal sources of inspiration or goals. Items with an asterisk (*) have corresponding links and explanations that are available below the calendar at the end of this post! Am I on track with my overall goals? I am SO EXCITED to see your calendars and the ways you're staying inspired throughout the month! Use the hashtag #practiceroomrevelations and tag @joleneflute to share! Summer is a great opportunity to spend some serious time practicing! If you're on break from school, perhaps you have a list of repertoire to tackle before the fall semester begins, or you're using your free time to work on pieces that have been on your to do list for a while. I'm constantly grappling with the number of exercises and etudes I've gathered over the years, in addition to all the pieces in my library that haven't been thoughtfully practiced yet. I'm always looking for ways to organize my thoughts onto paper and make sense of a realistic plan to help me feel well-balanced when it comes to practicing. See how I'm organizing my summer practice below and download your own planner! Click the button below to download a free PDF to print and use! The first page contains spaces for fundamentals and ultimately creates 3 different practice scenarios. In the DAILY boxes, write the bare-minimum that you'll commit to each day - the tasks that you're motivated to do daily and help you feel "in shape." The combination of Warm-Up, Tone, and Technique DAILY tasks may equal 20-30 minutes, and should be your basic practice session on the busiest days! The A & B boxes should be the additional materials you'll do in addition to the daily tasks. You can either rotate daily, weekly, or separate your tasks into the first half of your summer and the second half to focus on only a few at a time. 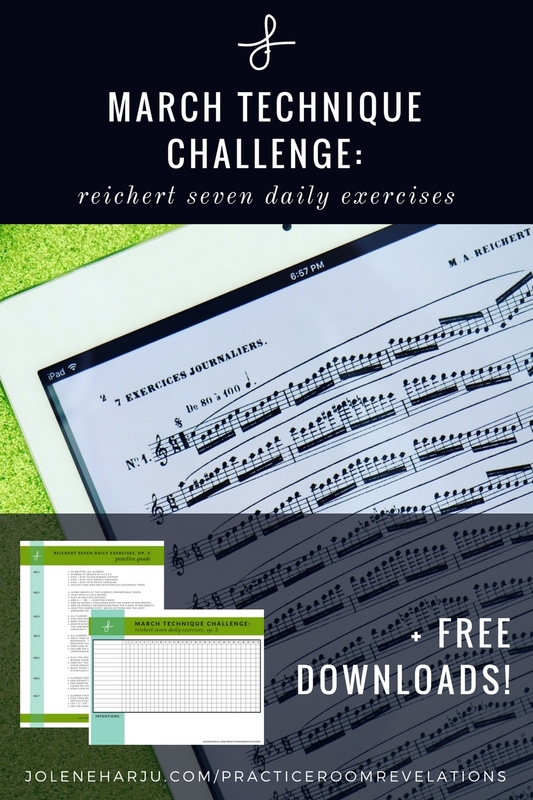 The second page contains repertoire, excerpts, etudes, and miscellaneous tasks, and can be divided into two sets. Want to Track Your Practice Progress? 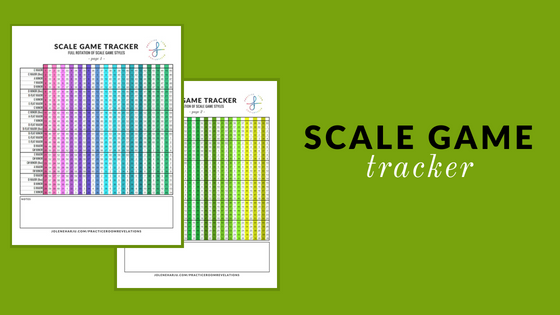 Click Here to Download Your Free Practice Tracker! Are you using the Summer Workout Practice Planner? Share yours on Instagram and tag @joleneflute or use #practiceroomrevelations!